It’s summertime in Virginia’s Blue Ridge and we’re chomping at the bit to experience everything on this list. 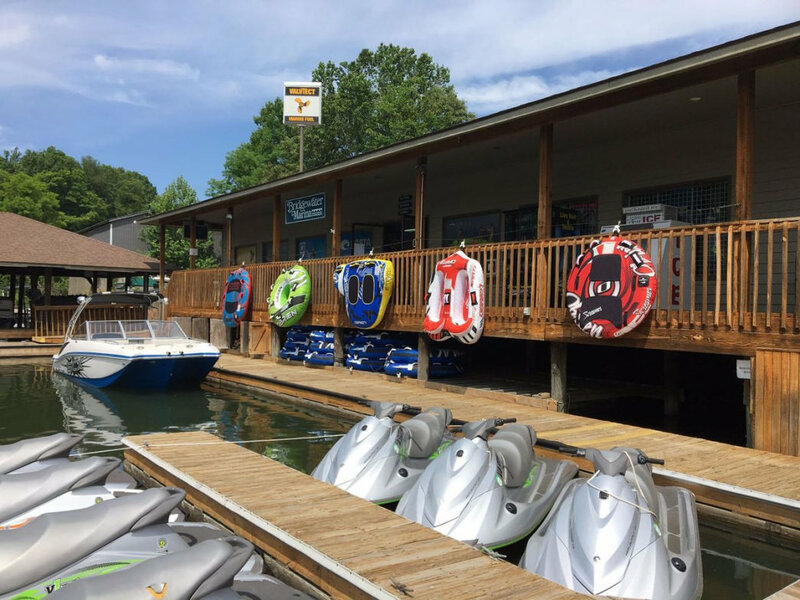 There’s adventure for young and old with a variety of water activities to keep you cool, indoor entertainment to keep you sun-safe, and even tasty options for those hot summer nights. Here are 10 ideas for your next summer vacation! 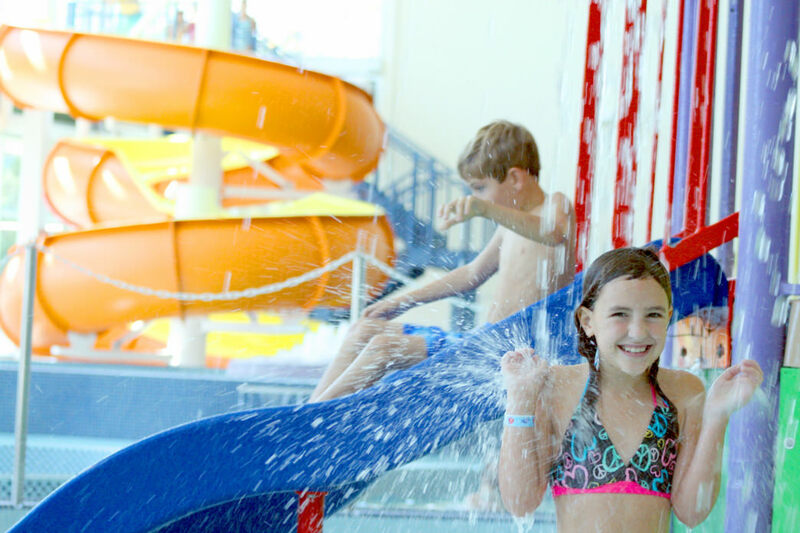 Gorgeous summer days call for water park family action, and Splash Valley is our number one choice for an H2O cool down. The park is open daily through August 22, plus weekends through Labor Day. Fun features include a bowl slide, flume slide, starter slide for the young bunch, fountains, lazy river, leisure pool, and a zero-entry area perfect for your littlest sidekick to safely splash around. Children two and under are free, and daily specials help save some bucks for the rest of the family. Concessions are available. When you know there’s water at the end of your hike, you’re more apt to put forth the effort for the journey. Waterfalls are the ultimate pay-off, and we have the inside scoop on where to find them. Great shot of a group leaving Buchanan paddling to Arcadia on the Upper James River Water Trail. Most locals have no trouble exploring around Virginia’s Blue Ridge, but for our guests and those who have yet to experience some of our finer outdoor options, guides are the way to go. Want to amp up what you think you know how to do in our area? They’ll also take you to the next level of outdoorsmanship. From tubing to paddling, Twin River Outfitters can hook you up with all the basic necessities. They can also go above and beyond. Inquire about their overnight paddle trips that include resting at their private campground. If one night isn’t enough, there is a four-night option that allows paddlers to experience the entirety of the Upper James River Water Trail, which sounds like it should definitely be on someone’s bucket list. Much like Twin River, Roanoke Mountain Adventures offers rentals and guide service, but extends to also cover mountain biking, which is something of a favorite activity here in Roanoke, the U.S. East Coast Mountain Biking Capital. Half-day and full day guided trips are offered for mountain biking and kayaking, while stand-up paddleboarding is offered in two-hour trips. Smith Mountain Lake (or SML, as we like to call it) is Virginia’s second largest body of water with 500 miles of shoreline. Three counties lay claim to portions of the lake, which reaches a max depth of 250 feet. There’s no one thing that attracts people to SML, rather, it’s renowned for largemouth bass fishing, is a boater’s paradise, and even includes a State Park with a sandy beach, hiking trails, boat rentals, campground, and cabins. Smith Mountain Lake is our beach in the mountains. Is there anything more patriotic than baseball? Only baseball on the 4th of July, probably. Add on a hot dog, maybe some post-game fireworks, and a win for the home team and you have yourself an authentic American experience. Come see our Salem Red Sox take over the diamond at Haley Toyota Field. They’re an Advanced Class “A” Minor League affiliate of the Boston Red Sox. If aforementioned SML sounds like a place you want to be, you’ll want to add a trip or two to the Plaza at Bridgewater Marina for a round of putt-putt, a few scoops of ice cream (what’s summer without ice cream?! ), great food and drinks, and a bit of shopping. If you fancy a trip on the water, it’s also a place to secure a boat rental. We love pontoons for families. A summer vacation with friends typically includes adult beverages, right? We have a trail you’re going to LOVE. Our Beerway is a self-guided route from craft brewery to craft brewery throughout Virginia’s Blue Ridge. In fact, it’s best conquered over the course of a three-day weekend and definitely with a designated driver. Sharing is caring, so take turns with the imbibing and driving. You could also book a spot on a Roanoke Craft Beer Tour for a guided experience! Fly Fishing is a very serious sport for some anglers, and we happen to have several great places to dance your fly on the water. 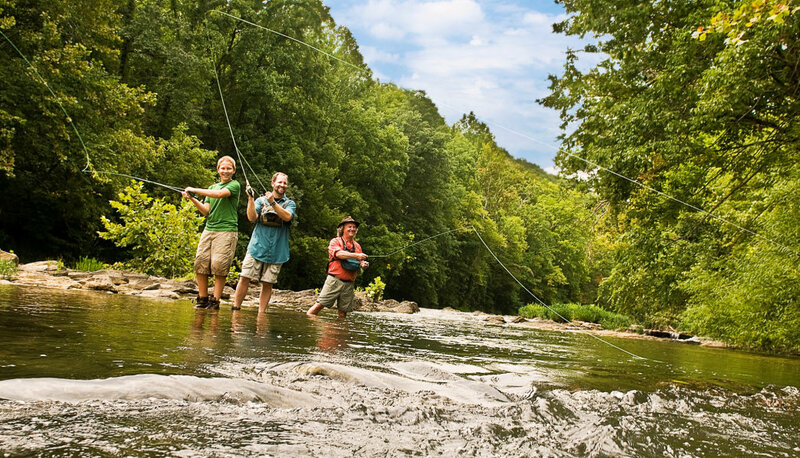 On the Upper Roanoke River, a variety of bass, redeye, bluegill, catfish, and trout await. The James River is a hot spot for smallmouth, largemouth, and spotted bass; a daily limit of five should be adhered to, with only one larger than 22 inches and none between 14 and 22 inches. At Big Pine Trout Farm, a stretch of Meadow Creek is at your disposal. Both wild and stocked rainbow trout thrive here. It’s an incredible fishing destination complete with an upscale farmhouse that sleeps six to eight people. As any good fisherman knows, be aware of the Virginia Department of Game and Inland Fisheries Regulations before you go. When water isn’t your thing or you need a break from the sun, head to one of our favorite museums and galleries. The Taubman Museum of Art is a work of art in and of itself. Permanent and rotating exhibits make every visit to this space one you’ll enjoy. The Virginia Museum of Transportation is a favorite destination for those who love planes, trains, and automobiles. Climb aboard, learn a thing or two, and stay chill. 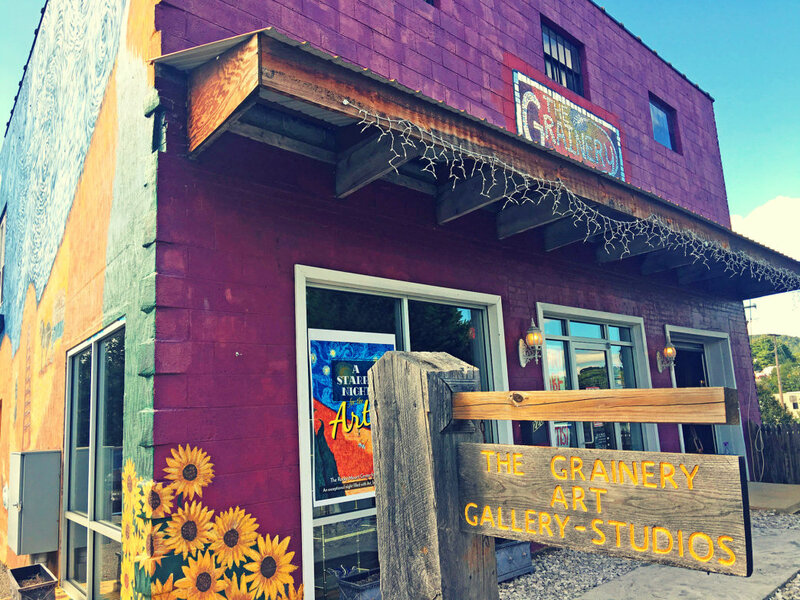 The Grainery is Rocky Mount ‘s Center for the Arts and where you’ll find not only a reprieve from the heat but a little bit of heat inside, too. Hot glass blowing in a key attraction here! At the Eleanor D. Wilson Museum at Hollins University, emerging artists share 4,000 square feet of gallery space with world renowned artists. Maybe a new name will catch your eye as you peruse the exhibits. When those summer thunderstorms pop up, you’ll be looking for a fun place to wait it out. Better yet, make one of these a key destination while you’re in Virginia’s Blue Ridge! The Launching Pad Trampoline Park is just what its name implies: an indoor park of trampolines. All ages can get in on this kind of fun! Put on your cool socks and bounce around to your heart’s content. You’ve never had a slam dunk contest until you’ve had one on a trampoline. Center in the Square is a day-long indoor destination packed full of museums and unexpected delights. 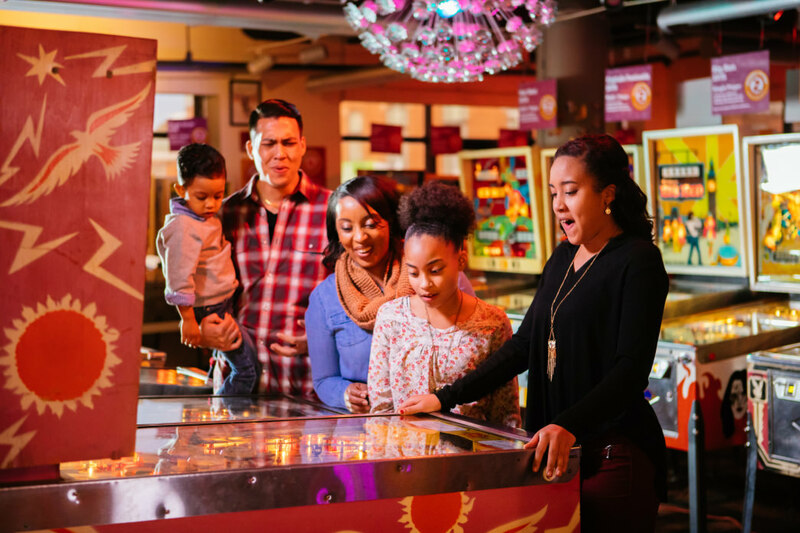 Huge aquariums, a butterfly garden, and even pinball machines are calling your name. Get your climb on at River Rock Climbing Gym. See how well you can powder up and reach the top of these challenging verticals, and occasionally, hang upside down to maneuver around. Skating rinks are an old-school kind of fun we just can’t forget. Whether you prefer two wheels or four, our area rinks are still hoppin’ with the unmistakable sound of wheels on hardwood, disco balls, and laser lights dancing about. Someone’s about to have Saturday Night Fever! 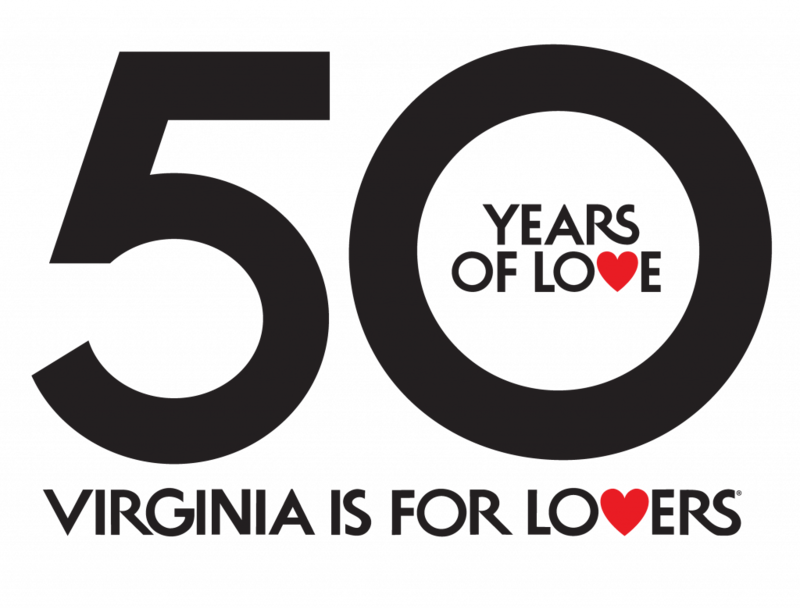 Written by Casey L. Higgins for Visit Virginia’s Blue Ridge. The post 10 Ideas for a Summer Vacation in Virginia’s Blue Ridge Mountains appeared first on Virginia’s Travel Blog.